Autographed by all the main actors of the Oscar winning Trilogy ! 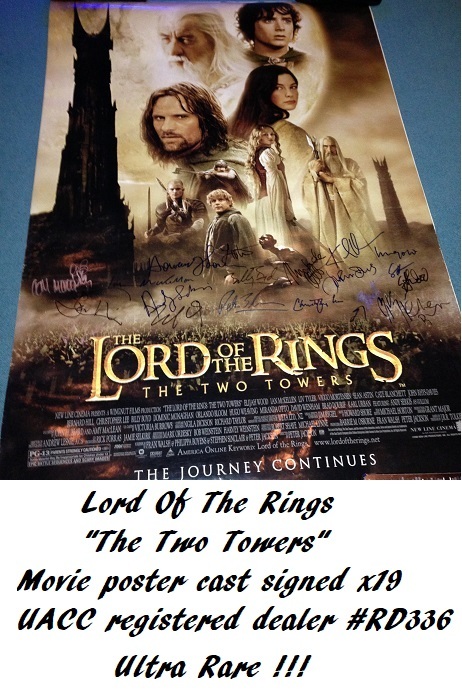 This is one of the finest Lord Of The Rings autograph collection ever seen on a movie poster for "The Two Towers" ! Devon Autographs are specialists in TV comedy and movie autographs. Note, the dedication by Viggo has been carefully removed by the original collector. Viggo will not sign anything now without a dedication. 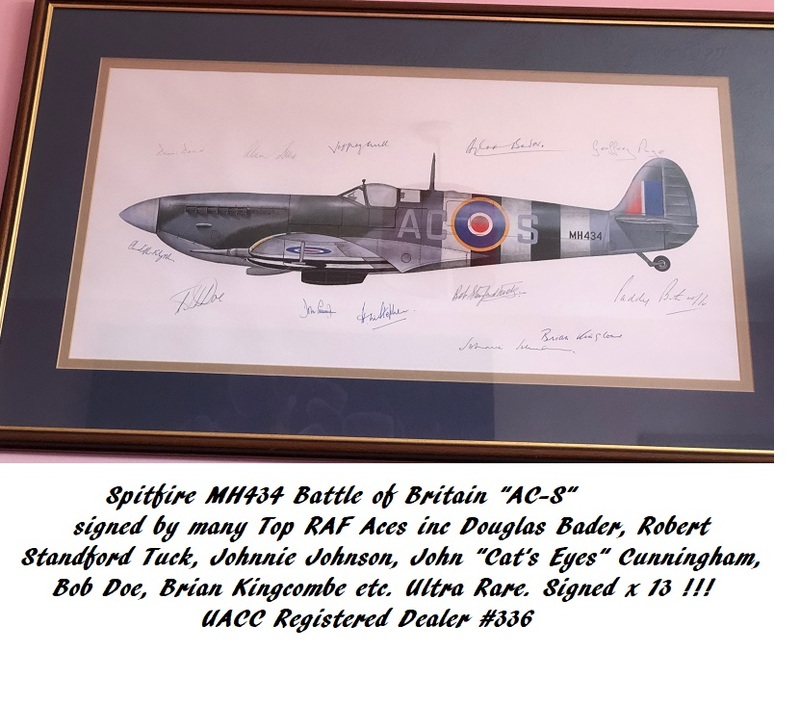 There is a light smudge to the left of his signature, but does not affect it.